Cities across the world are said to be the drivers of development. They generate about 80% of the gross domestic product (GDP) of their respective countries. However, cities are marred by violence and crime. Statistics show that South Africa’s murder rates are among the highest in the world. The country’s largest cities carry a disproportionate burden for this type of crime. Murder is considered a good indicator for general levels of violence; and as such, closer attention to place specific drivers to reduce murder rates could influence violence reduction in cities and in the country. 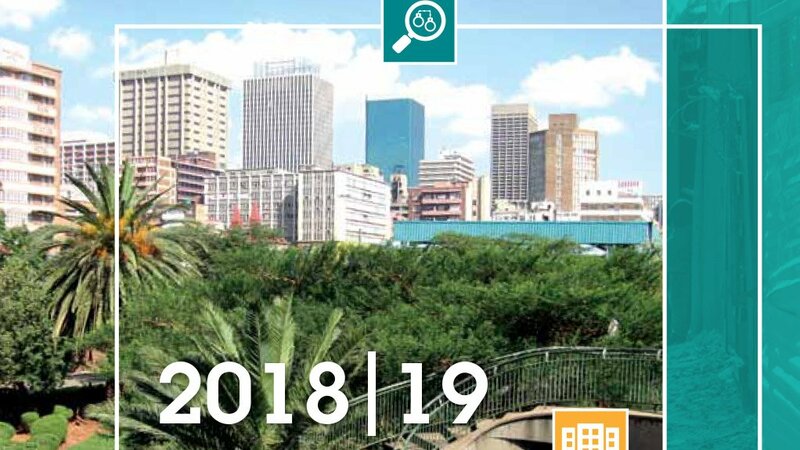 The 2018/2019 State of Urban Safety in South Africa Report looks at an incremental update on the state of crime, violence and safety in South Africa’s 9 metros. By presenting a city-level picture of crime and violence, the Report intends to fill a reporting gap, given national crime statistics don’t show the true distribution of crime at local level. City level data enables cities to tailor their crime prevention strategies and target interventions where they are needed. The report aims to be a credible resource for all decision-makers and practitioners involved in different aspects of making cities safer; including political leaders, officials across city sector departments and the 3 spheres of government. The State of Urban Safety in South Africa Report 2018/19 was prepared by the Urban Safety Reference Group (USRG) – a reference group convened by the South African Cities Network in partnership with the Gesellschaft für Internationale Zusammenarbeit’s (GIZ) Inclusive Violence and Crime Prevention programme.